HURST-Debra “Debbie” Ann Templin passed away Friday, June 15, 2018 at the age of 60. Debra Ann Templin was born to Carol Lewis Detherage and Mary Ruth Detherage on November 27, 1957. She was the only daughter of their three children, Michael Detherage and Nick Detherage. She was raised in Aledo, Texas and resided there most of her life until 1993 when she and her husband, Steve Templin moved to Grapevine, Texas. Where they would raise Amber and Chandler. Debbie worked for TXU Energy for 16 years. Debbie began her battle with cancer in 2001. She fought with grit and determination to win her battle. Her perseverance prevailed and she went in remission for 11 years. During this time she was able to be present for the marriage of her older daughter, Amber to her son-in-law, Alberto Alonso. The birth of her three granddaughters Ashby, Evalen, and Emma. As family was everything to Debbie she never let anything stand in her way of being with all of her girls. In 2012 the cancer came back to try to defeat her again. Once again she prevailed and did not allow cancer to define her life. She stayed faithful to the Lord and asked that he help her again. Her first task was to complete the Susan G Komen 3 day walk. Debbie and teams completed not one, but two 3 day walks. Combined together they raised over $30,000 and walked over 60 miles. 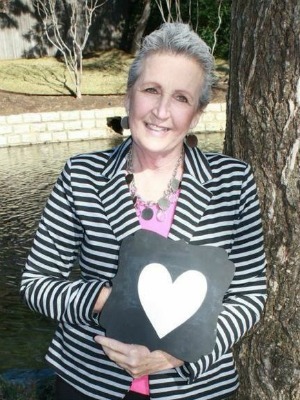 This fight with cancer earned her the Heart and Soul award from Chandler’s High School which was then renamed to the Debbie Templin Award. Following that her prayers were answered as she was allowed to attend Chandler’s High School graduation, send her off to college, and watch her graduate from Pittsburg State University. All things that meant the world to her. This fight was a long fight. Today she no longer has cancer, she is no longer in pain, and she came in first place. She will forever be our hero. Survivors: Debbie is survived by her husband Steve Templin; parents Carol Lewis and Mary Ruth Detherage; brothers Mike and Nick Detherage; daughters, Amber Alonso and Chandler Templin; son-in- law, Alberto Alonso, grandchildren, Ashby Wood, Evalen Alonso, Emma Alonso, and baby Alonso; and many other family members that she cared deeply for. The post Debra “Debbie” Ann Templin appeared first on Brown Owens & Brumley Family Funeral Home & Crematory.